Air Vend Reel can handle 25 ft of Â¼ in. I.D. hose. Designed for air service, compact AV4425 OLPBWL can be incorporated into air service stations or inside cabinets on trucks and incorporates constant tension without latch pawl. Unit uses jump guard to eliminate possibility of hose jumping off spool due to extremely violent return or operator error. Wire braid hose is available to resist abrasion and crushing. 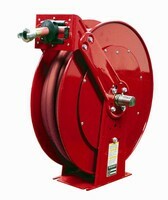 Hose Reels feature spring-motor operated design. 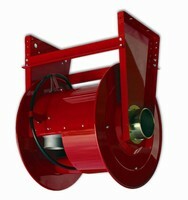 Exhaust Hose Reels are spring retractable. Able to store lengths of large diameter exhaust hose, A500 Series exhaust reels divert hazardous carbon monoxide gasses away from workplace. They feature latching mechanism that maintains desired working length of hose, and 2 industrial strength carbon drive springs to ensure that hose retracts every time. 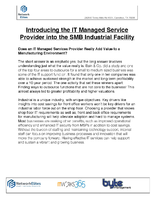 Each component is individually powder coated, providing resistance against environment. 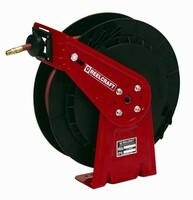 Hose Reel accommodates 65 ft of hose. 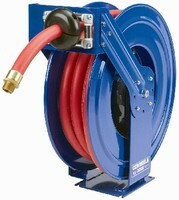 Model RT465-OLP retractable hose reel accommodates up to 65 ft of Ã‚-¼ in. ID hose. Designed for medium duty industrial air and water applications, Series RT reels feature multi-position guide arm, fully enclosed drive spring, and composite spool. 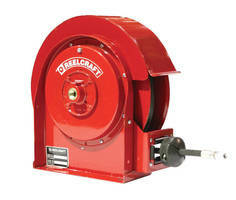 Pavement Breaker Reels are corrosion resistant. Designed to keep hoses out of harm's way while on job site, pavement breaker reels supply pavement breakers with up to 75 ft of Ã‚-¾ in. rubber air hose. Special braided hose is abrasion resistant and features Ã‚Â¾ in. universal air coupling for disconnects. 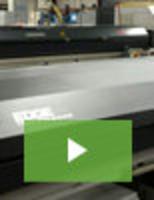 Reels are corrosion resistant due to individual component powder coating process that takes place prior to assembly. Cable Reel is suited for gas welding applications.